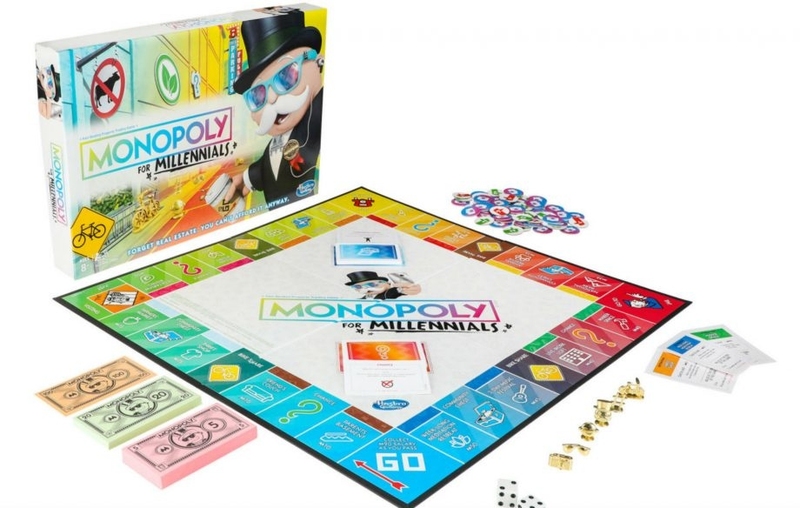 Monopoly for Millennials - the newest version of the classic Hasbro game - has scooped an award for being progressive. The game replaces buying real estate - which it says millennials can't afford anyway - with having experiences. Community Chest cards now carry options including: "Your side hustle of selling vegan candles has paid off!" Vegan charity PETA has honored Hasbro with one of its Proggy Award. According to the charity, the game's animal-friendly options, such as eating at a vegan bistro and visiting an animal shelter, represents young people's increasing levels of compassion toward animals. "Monopoly for Millennials may have garnered some criticism for its cheeky portrayal of millennial culture, but it nails our generation's dedication to helping animals," PETA Senior Director of Youth Outreach and Campaigns (and millennial), Marta Holmberg, said in a statement. "PETA is recognizing Hasbro for acknowledging a simple fact: Young adults today are choosing kindness over cruelty." The charity adds that the growing trend towards meat reduction is 'driven by millennials', stating '26 percent of whom already identify as either vegetarian or vegan'.